Homemade yogurt is the best start towards good health – the first step you can take to a healthy living and probiotics diet. You don’t need to own an expensive yogurt maker for this. No need to buy a superior yogurt culture, no coolers also, naaadaaaa…. You can simply make it at home from a spoon of store-bought yogurt. In fact, you can make a better and healthy yogurt than the store ones. 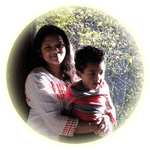 Why homemade yogurt when it is easily available in the stores? Well, homemade yogurt is more tasty, healthy, cheap and can be reproduced very easily. We never used to buy yogurt at home in my native. I don’t even know any stores or supermarkets that sold yogurt in my childhood. But now it is available in the supermarkets there also. I never buy that. When I can make a more healthy homemade yogurt, why should I go for the store-bought ones. Also, Homemade yogurt may help you save $500/year if you are a yogurt lover like me and my family. When I first came to the US, I bought yogurt from the store to make my first batch of homemade yogurt. Then never ever I had been to that cold aisle to buy yogurt. It’s that simple. With just two ingredients you can make yogurt at home, a spoon of store-bought yogurt and milk. The store bought yogurt contains the fermenting bacteria that will culture the milk and turn it into yogurt with its characteristic texture. The only problem; your first batch of homemade yogurt may not be as thick as the store yogurt. So make less and save a spoon of yogurt from this first batch to make the second one. This time, the active bacteria will multiply and give it the thick texture and tangy taste. The temperature of the milk is also very important. In my native home, we will first boil the milk, then lower the temperature and add the yogurt culture since we are using the unpasteurized milk. Yogurt making has been a practice that we do every alternate day. Boiling the milk will denature the milk proteins so that it will set together during the fermentation rather than curdling. Yogurt is a naturally fermented food which helps in good digestion and boosts our immune system. The recipe continues below the recipe video. So now you can make your own yogurt at home. Here are some recipes you can make with your homemade yogurt. 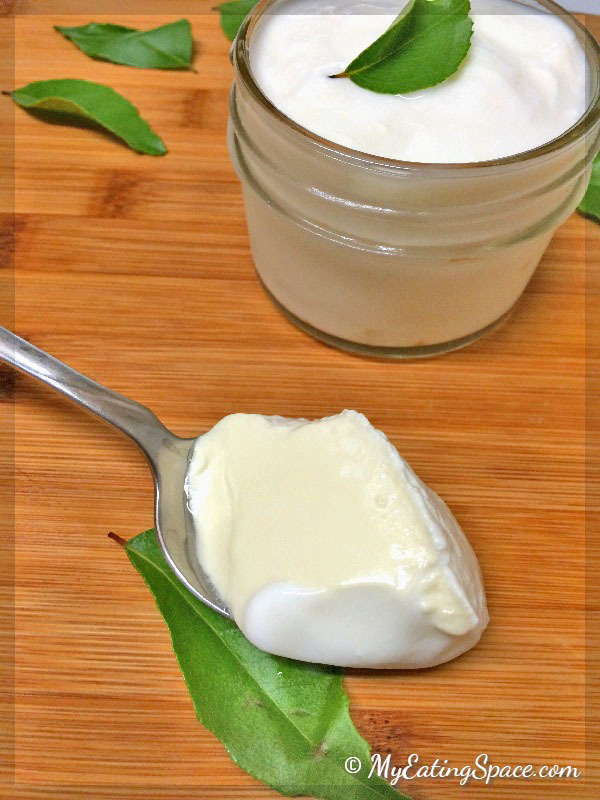 A healthy and naturally fermented yogurt recipe you can easily make at home. 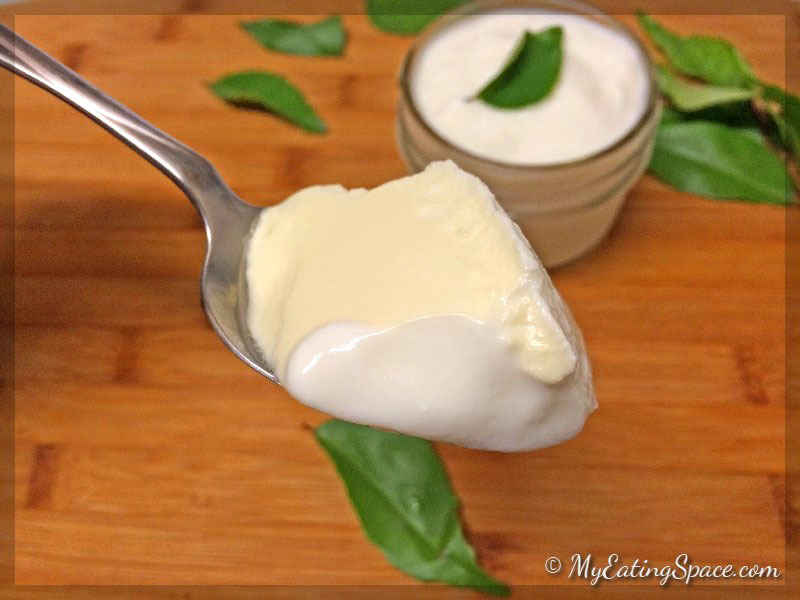 No yogurt maker is necessary to make a tasty homemade yogurt. Keep the plain (unflavored) yogurt in a bowl outside the refrigerator to bring it to room temperature. This makes the bacteria active. This is the culture. Bring the milk to a boil in a deep and thick bottom saucepan. The temperature of the milk should lower to between 110 to 115 Fahrenheit (43 to 45 Celsius). If you don't have a thermometer, you may follow this method. The milk should be warm enough for you to dip your finger without burning. The milk should be warm for the bacteria to work and keep active. Add the warm milk to the yogurt in the bowl. Using a spoon, mix well to distribute the culture evenly. Just cover the bowl with a lid. Do not use a tight lid or close the bowl tightly. Let it sit undisturbed in a warm place, preferably an oven (during cold conditions) for up to 12-14 hours or until it reaches a thick consistency and a slight tangy taste. Refrigerate the yogurt to get a thick texture. 1. For making the next batch, save a little yogurt from the previous batch. 2. Check whether the yogurt is thick after 12 hours. If not, keep it undisturbed until a thick yogurt is made. 3. While making the first batch, the fermentation process may take more time. It depends on the weather conditions, amount of active bacteria in the culture, type of milk, protein content etc. Usually, the fermentation process is faster in warm conditions. The more you ferment the milk, the more the bacteria will digest the lactose. So yogurt can be enjoyed by the lactose intolerants without any concern. 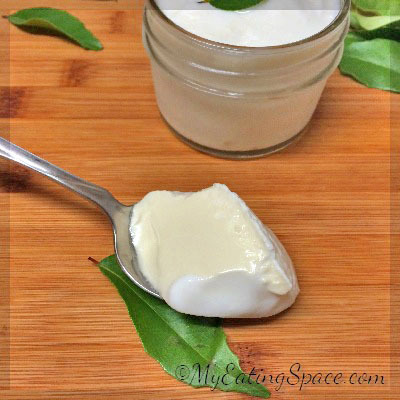 You can also make your own flavored homemade yogurt with this method. I never tried, but I have the plan and will update once I do.